Posted January 27, 2014 by broccoli & filed under Featured, Tea. Posted January 21, 2014 by broccoli & filed under Recipes. With Spring finally upon us, it’s time to start thinking about all the great fresh produce that will soon be available in the supermarket and at your local farmers markets. We thought that this would be a great time to share some of our favorite healthy and delicious spring time salads. Posted December 9, 2013 by broccoli & filed under Broccoli. Posted November 26, 2013 by broccoli & filed under Health. Dr. Paul Talalay spoke to the Hopkins Health Newsfeed today. You can listen by clicking here or you can click here to read the transcript. Posted August 22, 2013 by broccoli & filed under Broccoli, Recipes. Broccoli, everyone’s favorite miniature trees, is a serious superfood. If you haven’t yet discovered the deliciousness that is broccoli, or are looking for more ways to incorporate this healthy veggie into more dishes, here is your inspiration! Posted July 31, 2013 by broccoli & filed under Uncategorized. Building consumer and market understanding of the benefits of glucoraphanin from broccoli is a lot like the DHA story, says leading broccoli extract supplier Brassica Protection Products (BPP), as it takes the ‘important step’ of self-affirming the GRAS status of its SGS ingredient. From NutraIngredients-usa.com-by Stephen Daniells-July 30 2013. Click here to read the full article. Posted July 9, 2013 by broccoli & filed under Uncategorized. 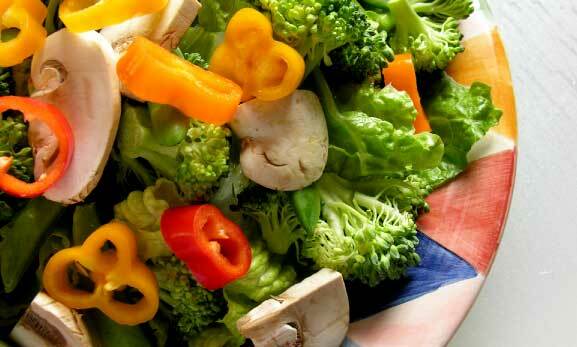 Broccoli has been brought up in Supreme Court discussions over the Obama administration’s health care law. Click here to read the full article. Posted July 9, 2013 by broccoli & filed under Broccoli. The New York Times has an article about President Obama and his fondness for broccoli. Click here to read the full article. The Healing Power of Tea – Book features Brassica Tea! Posted May 22, 2013 by broccoli & filed under Brassica, Tea. Author Caroline Dow has a book out about Tea. Here is an excerpt from her blog post about Brassica Tea. Click here to read the entire blog post. When researching my new book, THE HEALING POWER OF TEA, I was surprised to find that not many people have heard of Brassica Tea and its health benefits. I wonder whether this is so because I live in Colorado and my state was chosen as the first test market for this tea. Another possibility is that Brassica contains a component found in broccoli. Yes, that much maligned cruciferous vegetable, with what former President George W. Bush described as “a strong flavor.”Brassica oleracea italica is the Latin name for broccoli, but very little of the flavor, if any, makes it into Brassica tea. More than a decade ago, scientists from JohnsHopkinsUniversity isolated the antioxidant in broccoli that battles free radicals and keeps them from destroying cells in the body, which can open the door to cancer and other chronic conditions. They called their find sulforaphane or SGS for short. Researchers were able to extract SGS from broccoli and add it to tea. Although any kind of tea can be infused with SGS, it seems to harmonize best with the vegetal flavors of various green teas. Just one cup of Brassica tea will deliver to your body the equivalent of three ounces of fresh broccoli. You bypass the distinctive broccoli taste and get an added nutritional boost courtesy of green tea’s catechins. This is why some enthusiasts believe that Brassica tea may be the healthiest tea on the planet. Posted April 28, 2013 by broccoli & filed under Broccoli.